Hi everybody! Today I am hosting the incredible author Merritt Kelly and her amazing book, Threads. Just by reading the excerpt that I have included in this post, I am already hooked. Both by the main character and the awesome detail that Merritt puts into her writing. Please continue to read and find out more about Merritt and her wonderful story Threads. Enjoy!! It was Carda’s job to get the Thread. Her tiny wings flapped silently as she hovered above it, her delicate fingers pulling it from the center of the flower. It was an important job. The Thread was priceless and a part of everything the Garden Fairies do. This was her first time. She had to be careful. If she pulled too hard she would surely break the delicate thread. If she flew too long and became tired she might fall or be discovered. N’ela, her aged mentor hovered in the distance, arms folded, watching her every move. Carda’s long dark hair fluttered about her in the breeze caused by the incessant beating of her wings. 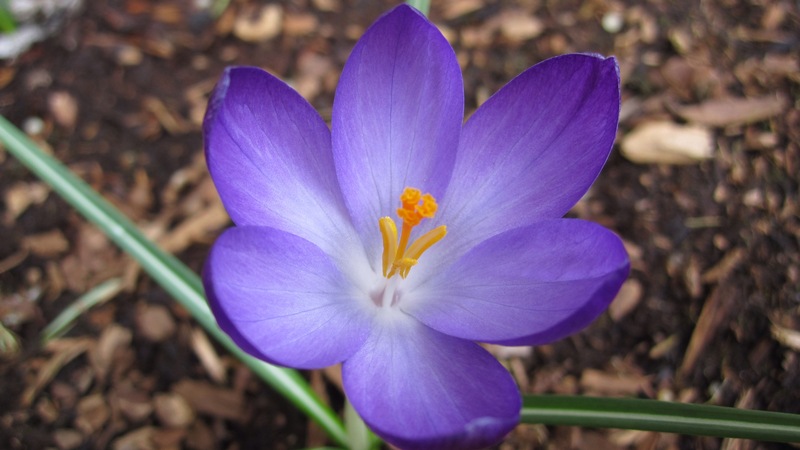 Her green eyes surveyed the batch of Crocuses that she must finish. It was a timed test and only the fastest and the best would hold the title of Threader. She exhaled reminding herself to stay calm. That seemed nearly impossible, the family honor was at stake. Her mother was a Threader and her mother before her. She pushed the negative thoughts aside and reminded herself that she was born for this. She flitted along, deftly gathering threads, placing them in the canvas sack that was slung over one shoulder. The test was timed for a reason. In a few minutes the sun would be up and the giants would wake. They must not see. The Garden Fairies had survived because they remained hidden. They didn’t exist in the world of the giants. Carda suddenly stopped. She’d allowed herself to become distracted and now her fingers were tangled in the Threads. Time was wasting. She mustn’t break the Threads. She looked down at her now yellow stained fingers, her mind racing. N’ela’s thoughts pushed through to her consciousness. Carda did as as N’ela told her. “I am one,” Carda repeated to herself. As if by magic the Threads untangled from her fingers. Once she had become disengaged she pulled the Threads gently from the base of the flower. Each handful had more than the last. It was getting lighter outside and she was in a race against time. Once the sun was up over the hill it would be light the garden, the giants would wake. She could see N’ela buzzing back and forth out of the corner of her eye like an expectant mother. Three years of training had come to this and she didn’t want to disappoint her. The light began to break, just over the hills. The Connection as it was called, was strong. They felt each other’s emotions and heard each other’s thoughts as all fairies could. Like fire the dawn began to spread. Quickly N’ela stuffed the last of the Threads in to her sack. She held up her sack triumphantly. Q 1. What made you want to become a writer? A. I’ve always loved words. I tried to write my first play at ten I knew I’d be a writer in some capacity somehow, some way. Q 2. What gives you inspiration for your book ideas? A. Everything from cooking shows to personal experience to news articles and even dreams. My biggest challenge is reigning it and making sense of it all. I gets lots of ideas and sometimes I have to trim away or focus on a specific things so the relationship of the characters isn’t lost. Q 3. If your book had a soundtrack to it, what songs would be on it? A. Wow. That’s tough one. I’m a music lover of all genres. I’ll take two. Squeeze Black Coffee and maybe Pour Some Sugar on me Def Lepard. Black Coffee would Andrea’s song and Def Lepard is for my hero Danny in Bed. Q 4. Would you like to try other genres? A. Well as a matter of fact I’m trying my hand at combining food romance and murder mystery, just for fun. I’ll let you know how it turns out. I wanted to see how it would work. I don’t picture myself writing cozy mysteries. It may end up being more story driven than romance driven. The characters are older and deeply flawed, but it’s very funny. There’s more focus on the familial relationships and story than the romance. Q 5. What advice would you give to new authors? A. I don’t know that I’m in any position to give advice. I think you know if you are compelled to write, if you need to write. So the advice is simple. Write. The hardest part of that is believing in your talent and that what you have to say is worthwhile. You’ll question it a lot, know that’s part of the process and that will be what makes you work harder to improve. Q6. If you could go anywhere in the world, where would it be? And why? A. Switzerland! There you get the part of it that’s French, Italian, as well as the part that is uniquely Swiss. 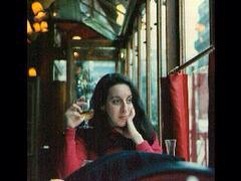 Great wine, cheese, chocolate, mountains fabulous scenery All of Europe is only a train ride away How can you lose?